Iceland is the birthplace of bestial entities, tremendously ferocious Black Metal creations. The overall cold and emptiness, the general inspiration that sinks into its musicians, is shown regularly whenever they channel their beings into instruments. Cacophony. A mixture of musical chords and hellish screams that derive from a tormented mind, that is what Ljain’s music is. A beast crafted from coal, from the very dirt of Iceland. H.V Lyngdal, the mind behing Ljáin – and Wormlust, amongst many many other “beasts” – has released 2 EPS in 2016, now put together in this 2018 compilation. 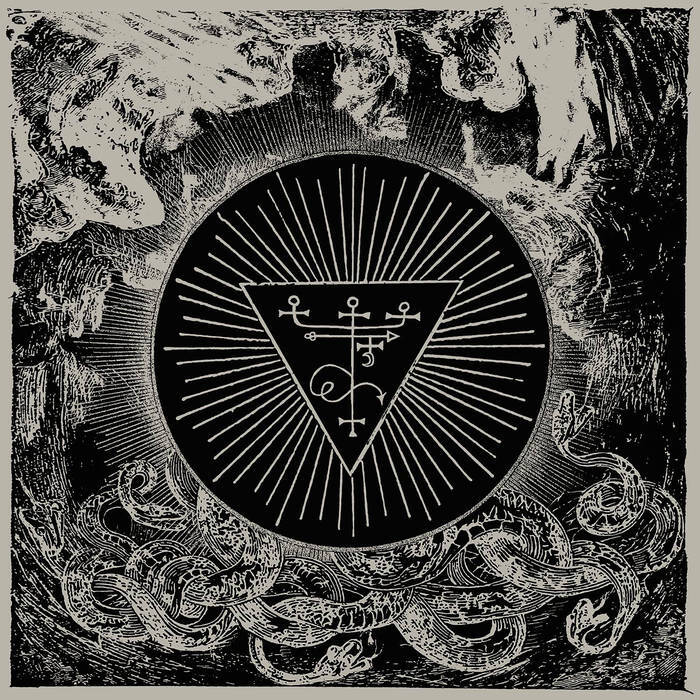 Bands like Deathspell Omegaor Blut aus Nord have, really, left a Mark in Black Metal as we know it: a harsh aggressive melodic and almost cacophonic atmosphere. A ritual of sounds. Lo-fi grips into the structure of the songs, from start to finish, and combined with insane, and barely perceptible vocals, craft a Beast, an immense wall of sound – conjured by the instruments – the vocals being the main attraction. They way they were recorded add, to the overall of the album, a haunting and frightening atmosphere that pulls you in! The vocals are more than just the vocal expression, but a very much relevant instrument in the album, as a whole. Close your eyes, press Play, and wait for the explosion to overtake your body and your mind. Mind-blowing, ufff… the experience should be lived, not read! This is one of those cases where one has to truly love the music… it has melody, it has the ambiance, it crafts unique ambient moments, to destroy them all in one single blow, with insanely aggressive walls of sound. The heaviness of this release is accurately overwhelming.